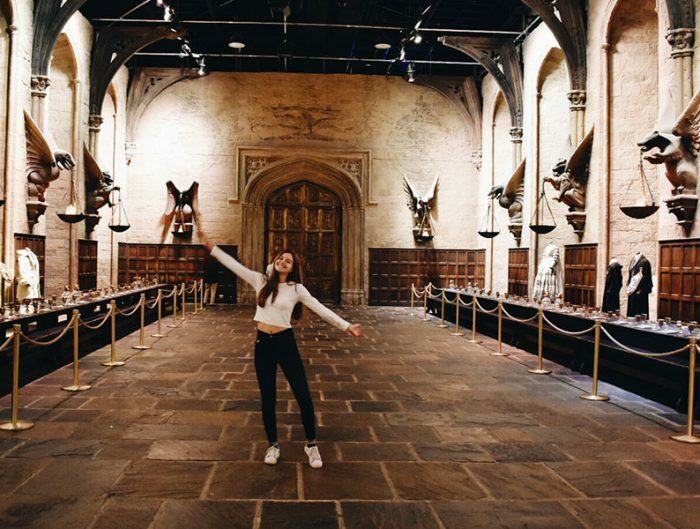 Internships have become an integral part of the study abroad experience. 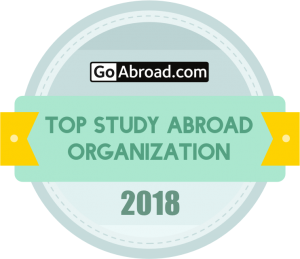 Not only is interning abroad a great resume builder, but it provides an opportunity to dive right into your career, or discover a new passion while immersing in a new culture. At the end of the day, interning abroad is something that very few people get to experience, so if you’re up for the challenge, it will be well worth your time and effort. USAC students never hesitate to take full advantage of the many internship opportunities available to them. 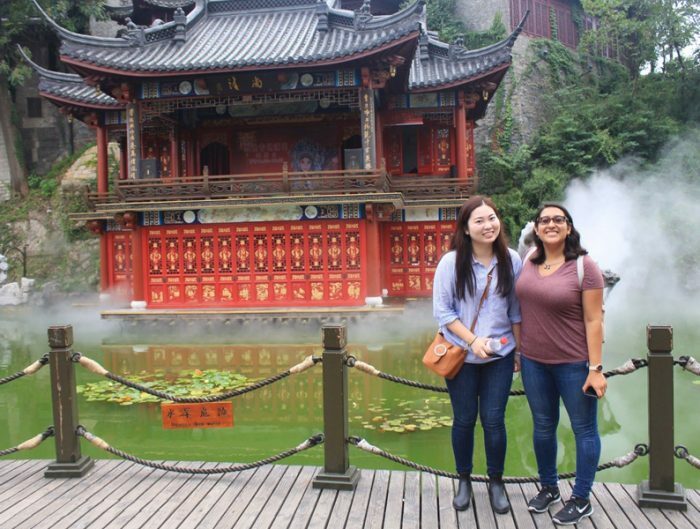 If you’re heading abroad, and know you want to complete an internship while you’re there, take a moment to read students’ reflections of their internship opportunities across the world. There’s no major or passion that we can’t find an internship for, so make sure to ask your enrollment specialist about opportunities through your program. While interning for the Giaguari I had various roles such as coaching, mentoring, and most importantly being a businessman. I coached the players on their technique and confidence. 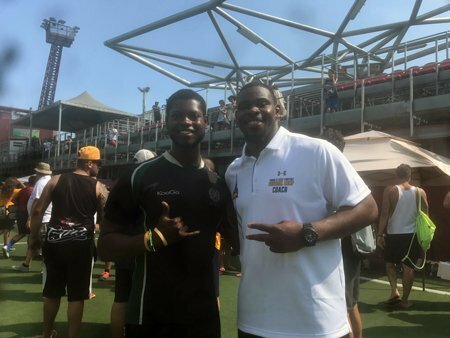 I did this by running drills during position time as I coached the defensive backs for the U19 group and the Prima Squadra, which is Italy’s top division for football. On the business side, I worked with the team’s Vice President on business theory which pertained to learning about how to budget and make deals in order to run an international football camp, the first in Torino. This international camp is a partnership between the Torino Giaguari and the University of California, Berkeley. 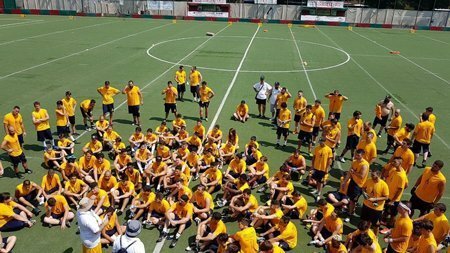 The camps name is Torino is Bear Territory and consisted of 150 players and 26 coaches from all around Italy. I took part in helping to organize the camp. Things I worked on included how to market and advertise, balancing costs, and how to make a profit without having a budget. Overall, I enjoyed my experience. The team became family and that is something I take pride in, now I can come back to Italy and have people who welcome me as their own. This experience has changed my life and I will take and apply what I learned everywhere I go. As an intern, I was able to work in an international environment and apply my international business minor and my marketing major, this opportunity alone allowed me to gain relevant, real life work experience. My colleagues played a major role in the success of my second goal, to learn about a new culture, every day they would teach me a new hand gesture, word, and/or recipe. As they helped me learn a lot about the Italian culture, I in return taught them about American culture. Throughout my time interning I researched and analyzed the food and beverage industries Customer Relationship Management (CRM) practices and proposed a recommendation for Ferrero to implement a different contact form, new social media practices, and ways to improve consumer interactions. I did this through analyzing companies, such as Coca-Cola, Nestlé, Unilever, Mondelēz International, etc. I also developed social media editorial plans for the Fiat Abarth, assisted in brainstorming copies and taglines for social media posts and advertisements, and read over several colleagues emails, copies, and taglines for English grammar. A lot of the copies I have created have been posted and used. I found it to be cool that a corporation was using social media copies that an intern wrote. I also helped increase the Fiat Abarth official’s following through liking potential consumers pictures of their cars and commenting on pictures that really stood out. Another project I worked on included creating a benchmark for the automobile industry through analyzing other competitor’s social media editorial plans in order to create a proposal on how to increase online following and customer reach. I came to a conclusion and gave several recommendations which were then proposed by my colleagues to Fiat Abarth and are currently being implemented. 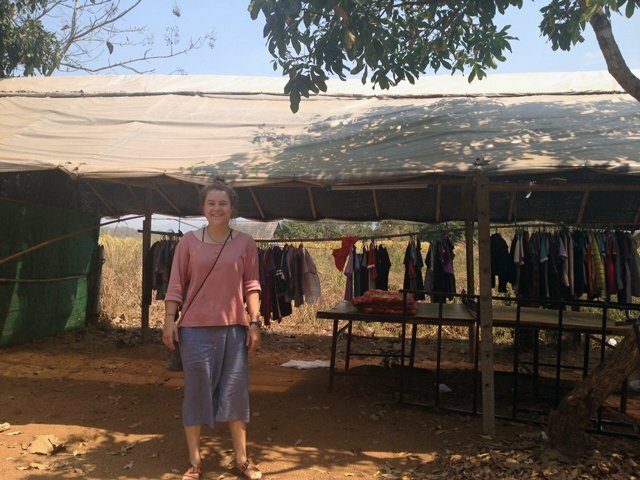 Warm Heart Foundation was incredible, providing me with a translator, the support, and mentorship that allowed me to understand how I could create and expand on my own project while listening to the needs of the village and the organization. 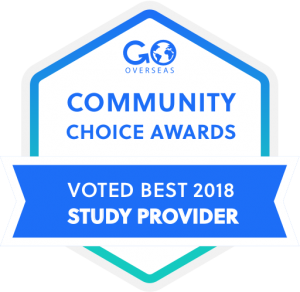 They provided an environment where I was fully immersed in new cultural and practical realities while juggling the professional expectations of the organization and my own changing understanding of what I was doing here. I learned every single day. I had to learn how to connect while interviewing through a translator so that the women didn’t just ignore me and speak only to my translator. I had to constantly organize and set up all my meetings, interviews, and goals, to plan ahead because I was only there four days of the week, to input all my interviews into spreadsheets, to communicate daily with my professors back home supporting my thesis research and the organization’s founders, my mentors and supervisors, and to organize all my research into a clearly defined thesis. I also had to learn how to function as a volunteer in Warm Heart. This meant I had to learn what was expected of me because it was made very clear to me that my project would have to be completely self-driven but less was explained to me about how I would fit in at Warm Heart. Little by little, I figured out my place and became comfortable as a young volunteer. 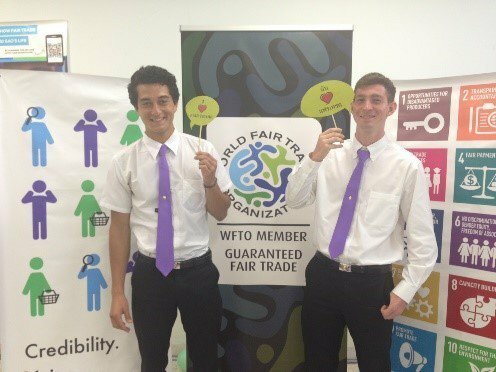 Throughout my time with the World Fair Trade Organization – Asia, I have been mostly focusing on writing explanations and finding articles on Fair Trade. In addition, I wrote research reports on a variety of Fair Trade topics to provide content that is better tailored towards our subscribers. These research reports will be published on the WFTO’s website in both English and Thai, and hopefully, some magazines will be publishing them soon as well. So far, I have been able to learn skills related to communication, marketing, and research. I think that although this is not completely what I had been anticipating, it has allowed me to grow in an area that I have been less focused on in the past. Expanding into a new area and gaining a better understanding of how to interact with subscribers of an organization is something that should prove helpful in the long run. Customer relations and marketing are very important for me to learn if I hope to start my own business someday as well. Refining my research skills, especially over the last month; writing pieces on Fair Trade Trends, Slow Fashion in Thailand, and Why Thailand should reduce its VAT for Fair Trade Products have made me into a better researcher and writer. These pieces having the chance to be published in multiple places is an incredible opportunity and resume booster when looking for jobs and internships in the future. During her time at the Multicultural Center of Prague, Nitzan prepared an educative free guided tour in English, The Faces and Places of Jewish Life in Prague: Remembrance Tour (more details here). There were 30 participants, both locals and foreigners, and everyone was impressed by Nitzan’s enthusiastic and knowledgeable guidance. 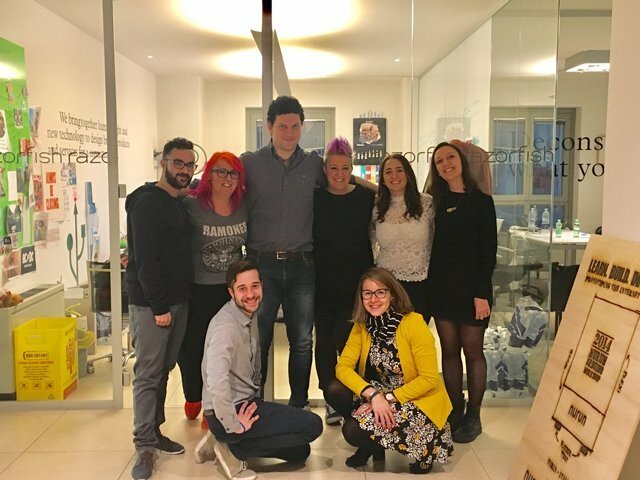 Several weeks later, Nitzan messaged the USAC Prague staff to share some great news: the grant she was working on during her internship was approved by the European Union for 100,000 Euro. We met Nitzan’s mentor, Ms. Zuzana Schreiberová, who focuses on intercultural and global development education and migration at the Multicultural Center and who will shortly become a new Executive Director of this NGO. Zuzana had only the best to say about Nitzan’s performance and revealed some very interesting facts about the grant. The Multicultural Centre had submitted the grant in 2015 and 2016 with no success. Zuzana and Nitzan re-edited the grant, Nitzan also made up a new title: “Democracy on the Brink. Historical lessons from the late 1930s”. Nitzan’s work was not only awarded such a great sum, but they also received the highest score in the “Europe for citizens–European remembrance” program! 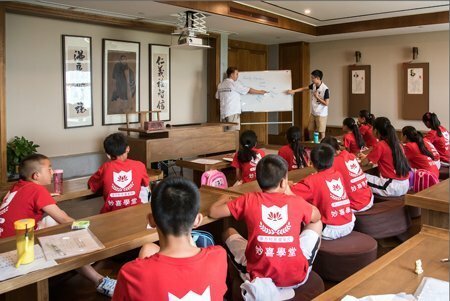 (Taken from the following news article) The students traveled across the country for two weeks visiting unique ‘hazard’ landscapes and engaging with the local experts who manage disasters in regional Civil Defence and Emergency Management offices. Some of the highlights for the students included visiting Christchurch, traveling to rural towns and regions like South Canterbury, Mt Cook, and Northland, and learning about how these communities build resilience and response plans and meeting industry professionals. The second half of their trip is a four-week internship based in Wellington, with placements in local and national government agencies including Wellington City Council, Fire and Emergency New Zealand, Wellington Regional Emergency Management Office, Ministry of Health and the Ministry for Primary Industries. Massey piloted the National Expedition and Internship program in 2014 with a one-course option for Agriculture and Environment students. Due to its success and strong interest from the United States market, they now have three more courses, Communication and Marketing, Creative Expression and Digital Media, and Disaster Risk and Emergency Management. I am majoring in biology and minoring in Chinese studies. 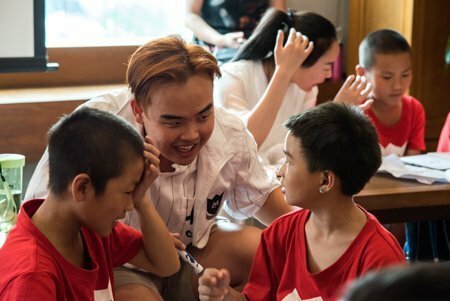 I was interning in Chengdu, China during Session 2 in summer of 2017. 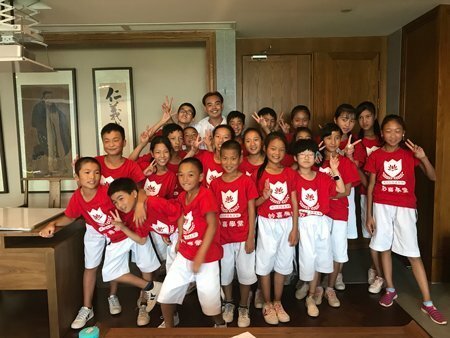 The program that I got involved in is called Maoxi school, where the program will select certain students in the leprosy village to come to Chengdu for a week to experience the city life and provide a chance for them to leave their village. People with leprosy disease were isolated from the rest of society so they formed in a village by themselves, thus forming the name leprosy village. As time went on the disease was cured, however, a majority of them still live in the village. This program gives students in these villages a chance to leave their village and explore the city life. 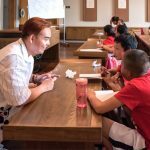 The program provides courses such as English, arts, music, sports, and field trips that are not provided in the village schools. The overall goal was to guide and encourage the students to step out of the village and into the big city. 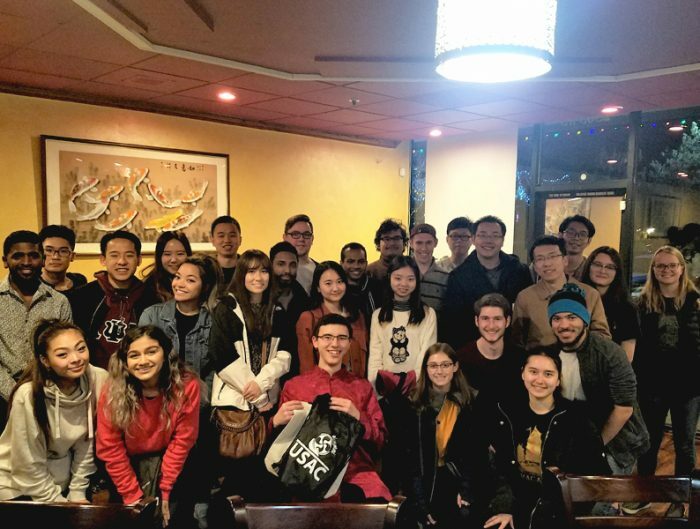 The resident director for Chengdu, Wentao Song, told me and the rest of the students about this program and that’s how I got involved. This opportunity was a once in a life time experience because it was a mutual learning experience. The kids learned English from me and the other volunteers and we learned and experienced the history and lifestyle of these leprosy survivors. I was grateful to be a part of their lives and for them to be a part of my life. It will be an unforgettable experience. 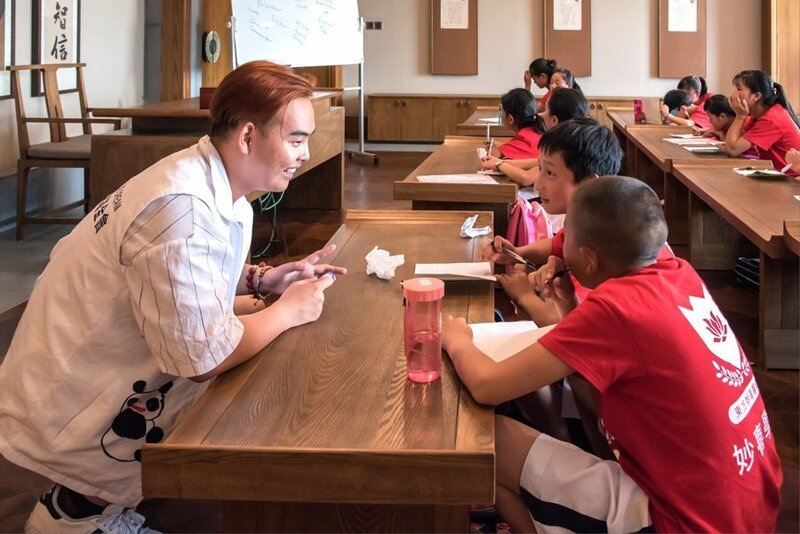 USAC students worked as teaching assistant in a summer camp for kids aged 4-6. 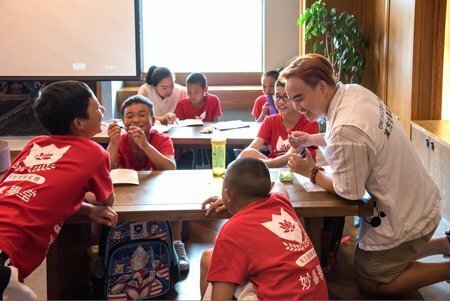 In addition to teaching English, the language partners from Shanghai University in this session also organized many activities for USAC students, i.e. 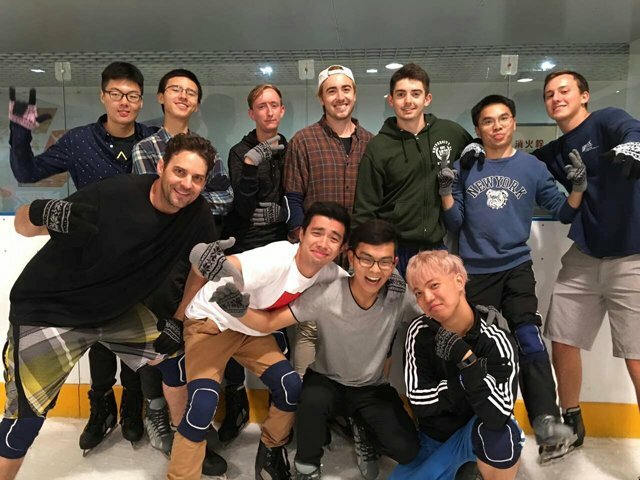 student’s birthday party, ice-skating, M50 art & galleries, etc.